TURF Distributor in OH, PA and IN - Interior Supply Inc.
An Authorized Distributor oF TURF. We are an authorized TURF distributor in Ohio and Pennsylvania. We offer TURF wall and ceiling systems that are not only visually amazing, they serve as a great source of noice reduction. If you want to learn more about how building products from TURF can meet the needs of the next building you are designing or constructing, give our knowledgable sales team a call today. Our statewide expert sales team works with architects, designers, and contractors to help them find the right fit for their design or project. If you need to learn more about the specific benefits of TURF products, contact your local Interior Supply office and set up a meeting. We’ll help educate your about the products — from LEED credits, to ease of installation, to design aesthetics — so that you can make the best choice for your project. TURF’s mission is to address the distracting echo of open spaces. Acoustic Solutions that are both remarkably effective at turning down the noise and visually stunning to entertain the soul. 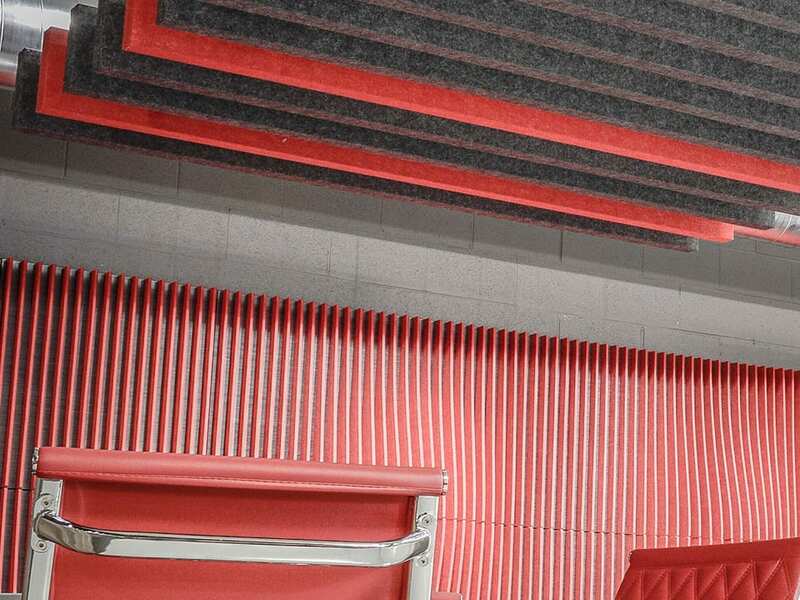 Part of Interior Supply’s Architectural Specialty product offerings, TURF is the perfect way to enhance your space with design and acoustic utility without compromising creativity or aesthetics. Our Specialty Products Team can help you get started with your next TURF solution today!